For a lot of people, manual grinding coffee is an enjoyable part of the morning routine, and the best hand coffee grinders are a lot quieter to use than electric grinders and many people say that they produce better tasting coffee as well. Of course, there are some disadvantages to using manual coffee grinders as well, so in this review of manual coffee grinders, we look at five of the best manual coffee grinders on the market and we look at both the advantages and disadvantages of using hand coffee grinders. If you were looking specifically for the best coffee grinders for making French press coffee; visit our best coffee grinder for french press buyer's guide. If you’re a coffee purist insistent on a totally involved grinding experience, there’s no substitute for a manual grinder. How about if you want to enjoy both espresso and French press coffee, though? Is it possible to get one grinder capable of delivering the grounds you need for both types of drink? With the ROK, it’s not just possible but an absolute cinch to achieve. To fine-tune the grind settings, you simply twist the stepless wheel through the 12 available gradations. This allows you an incredible flexibility not possible on many inferior grinders. If you want to convert the ROK to a step grinder, just remove a small piece on the wheel and make use of the detents. For the sake of versatility, we recommend leaving it as it is. You can manipulate the settings to give you the perfect fine grounds you need for the optimum espresso and really tweak things through experimenting. If you want to enjoy French press coffee which demands a coarser grind, ratchet the wheel up and you’ll get the more robust grounds essential for this type of coffee making. The free range of motion you’ll benefit from with the ROK means grinding is so easy you can do it not just one-handed but using just a couple of fingers. Whether it’s espresso or French press coffee you’re after, this manual grinder is our high-end pick if money is no object and you demand an uncompromising, adaptable manual grinder. If the upscale ROK is a little pricey for your budget, our best choice overall is this manual ceramic burr mill from the industry heavyweight Handground. For any coffee lover who wants a highly portable grinder without the questionable quality often associated with smaller models, this precision manual grinder packs the punch of a Rancilio without the eye-popping price tag or the physical bulk. With 8 steps but 15 settings overall – there’s a secondary demarcation between each of the main steps - you’ll get a phenomenal consistency with this ceramic burr mill. From a super-fine grind tailor-made for a rich espresso through to the far coarser grounds necessary for an effective coffee in your French press, the Handground is a versatile piece of kit. One issue common to ceramic burr grinders is a shocking lack of consistency with coarse grounds due to the wobble on the burrs. The introduction of 3 bushes in place of the standard single bush practically eliminates this bugbear, great news if you’re a French press fiend. The other key selling point of this grinder is its extremely diminutive footprint. If you love to travel but miss having freshly ground coffee on tap, the Handground is small enough to pop in your luggage without eating up too much room. Taking price, performance and multi-purpose grinding into account, the Handground wins out for us overall. Cheaper than the ROK without a significant drop in the end result of your ground, the Handground is a complete winner for travelers wanting both espresso and French press on the road. With inexpensive coffee grinders, there’s always some degree of compromise involved. This is to be expected and you need to keep your expectations reasonable when searching for the best budget coffee grinder. The leading drawback of this manual conical burr mill is the physical effort you’ll need to put in. Forget grinding with 2 fingers, you’ll need 2 hands! If you set aside this requirement for a little elbow grease, the JavePresse is a rock solid manual grinder with a price tag you’ll love. The wide range of 18 click settings allow you to enjoy the finely ground coffee crucial for your morning espresso right through to a coarse grind when you’re in the mood for breaking out the cafetière and sipping some French press. Much quieter than an electric grind and eminently portable, the JavePresse is a fantastic budget coffee grinder suitable for all your caffeinated favorites. This is a very high quality, manual burr grinder that looks great and that will give you a consistency of coarseness on a par with a much more expensive electric grinder. It will give you enough ground coffee for a double espresso in just 30 seconds! Designed for precision brewing, this manual coffee grinder from JavaPress is a neat and nifty manual conical burr mill that has 18 coarseness settings to give you total control over your style of coffee. It looks great and it makes a great cup of coffee. It’s one of the best hand coffee grinders on the market. Designed by coffee lovers, for coffee lovers, the Handgroundprecision coffee grinder is a superb little hand coffee grinder with 15 different grind settings that will give you a consistent grind every time. Check this one out for some great hand coffee grinding innovations! The perfect hand coffee grinder for the coffee connoisseur who loves to travel, the HarioSkerton manual ceramic coffee mill is small, lightweight and portable and it will give you a consistent grind wherever your travels take you. The Hario small coffee grinder is a great looking wood and metal manual coffee grinder that will make coffee grinding fun. This model is neat and compact, but it will still grind enough coffee beans for an average size pot of perfect coffee. The ROK aluminium hand coffee grinder is a manual burr grinder that can be used to make all types of coffee. The grinder is made from die-cast aluminium, which makes it durable, easy to keep clean and it looks great too. One of the things that makes the ROK manual coffee grinder one of the best hand coffee grinders, is the ease at which it grinds coffee beans. 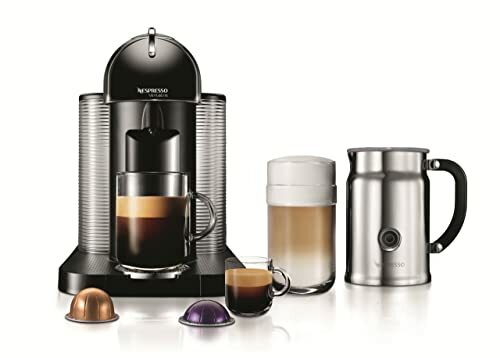 It uses 48mm stainless steel conical burrs to do the grinding, which produces excellent quality coffee grounds, and you can produce enough ground coffee for a double shot of espresso, with minimal effort, in just 30 seconds. The ROK aluminium manual coffee grinder gives a consistency that you would expect from an electric coffee grinder, but without, of course, the noise. It also has some very nice features, such as non-slip ring, which stops the grinder slipping and wobbling while you are using it. The coarseness of the grind is set by a wheel, and finding the coarseness that you want is not difficult. There is also a “step-less” adjustment available which means you can fine-tune the coarseness as much as you like. The ROK aluminium coffee grinder is well-made and a lovely looking kitchen appliance. You can get a build-up of static with this hand coffee grinder, but then it is a problem with most hand grinders. 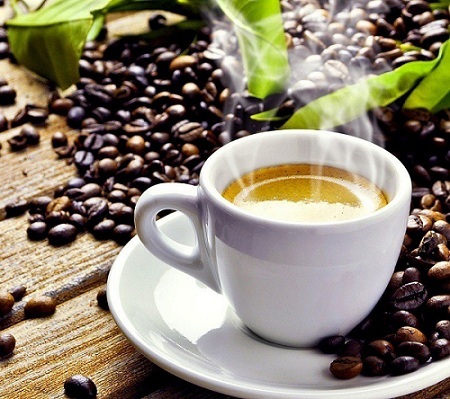 When you are grinding coffee, you do get a little bit of spillage over the sides and the beans can pop out of the grinder, but not enough that it would be a major issue for most people. Overall, we felt that the ROK aluminium coffee grinder is a well-made coffee grinder that makes manually grinding coffee a pretty easy job to do. It grinds coffee beans fast and it doesn’t take too much effort to do the grinding. It’s just what you want from one of the best hand coffee grinders on the market. The JavaPresse manual coffee grinder is a really neat little hand coffee grinder and it’s one of our favouritesof all hand operated grinders that we reviewed. The JavaPresse hand coffee grinder has more than 18 different settings for the coarseness of the grind and the coarseness of each grind was consistent. The grinder uses dual ceramic burrs to grind the beans and it’s that, the manufacturer says, that makes the grind so consistent. The ceramic burrs are also designed to last up to five times longer than stainless steel burrs, so that’s a another big plus in favour of this best hand coffee grinder. You can pack this grinder away easily and take it with you wherever you go and, because it’s not electric, you can take it on camping trips as well and have lovelyfreshly ground coffee in the mornings! The JavaPresse manual coffee grinder is made of brushed stainless steel, so it looks nice and it is easy to clean. Taking the grinder apart to clean is relatively easy. The handle is strong and sturdy and it’s just the right length to give you enough leverage to make grinding easy. This is a great hand coffee grinder to use with a French press and you’ll get approximately two cups of coffee from each grind, so it’s ideal for use as a single person personal coffee grinder. The grinding action is very smooth and it makes hardly any noise at all, so you won’t wake up the whole house making your early morning coffee with this model! Our only real criticism of this model would be that it’s not the fastest manual coffee grinder we have ever used, but all the other benefits of the JavaPresse manual coffee grinder more than made up for the extra minute or two we had to wait for our cup of coffee. With a capacity of 100g of beans, the Handgroundprecision coffee grinder is one of the larger manual coffee grinders in our hand grinder reviews. It’s a nice looking coffee grinder that produces a consistent grind and has fifteen different grind settings. This Manual coffee grinder uses ceramic burs to grind the beans and it has been designed in such a way that you get a minimal amount of wobble on the burrs, which is what helps to keep the coarseness of the grind consistent. Once you have loaded the hopper with up to 100g of coffee beans, the top locks on to avoid any beans spilling out and there are markings on the side of the hopper to give you an approximate measure of each 10g of beans. The handle of this had coffee grinder is situated on the side of the unit, which makes it easier to use than a top mounted handle, and the grinding action had a good, solid feel to it. It would take you about two minutes to grind enough coffee for two shots of espresso, which is reasonable for a hand coffee grinder. There was one minor issue we had with the Handground precision coffee grinder and that was that the receptacle at the bottom the grinder into which the ground coffee falls into is not quite large enough to accommodate a full load of grounds from a 100g of coffee beans. It’s not really a big issue, but you’d have thought the designers could have just made the receptacle a little bit larger. The Handground precision coffee grinder is well-made and the parts all appear to be high quality. It was also very easy to clean. Overall, we rate the Handgroundmanual ceramic burr mill one of the best hand coffee grinders that we have reviewed. The HarioSkerton ceramic coffee mill, which is a glassware manual coffee grinder that has ceramic burrs. This grinder is efficient and relatively easy to use and you can adjust the coarseness of the grind to suit the type of coffee you are making. The unit has a silicon lid on the top section of the grinder, so that stops any beans jumping out during grinding, and the ground coffee is collected neatly in a glassware container at the bottom. The HarioSkerton ceramic coffee mill is another lightweight manual coffee grinder that would make a great coffee grinderfor travelling or a coffee mill for one or two people. The consistency of the coffee grounds, as we mentioned before, is reasonable. If you are a bit of a connoisseur of coffee and you want to improve the consistency of the grounds produced by the HarioSkerton ceramic coffee mill, there is a very cheap upgrade that you can buy to do this, most coffee drinkers, however, will probably not feel the need to do this. Grinding the coffee was pretty easy to do and it didn’t take too much effort. It will take you a couple of minutes or so to grind enough coffee for a French press, but that’s the same amount of time that would expect from any manual coffee grinder. The HarioSkerton ceramic coffee mill is a nicely designed, well-made hand coffee mill that will give you a good quality cup of coffee. We had no problem giving it a place in our reviews of the top five manual coffee grinders. Our final choice of best hand coffee grinder is the Hario Small Coffee Grinder, which is a very nice looking manual coffee grinder with ceramic burrs. Don’t be fooled by the name of this manual grinder, the Hario Small Coffee Grinder will hold a very respectable 28g of ground coffee, which would be enough to make an average pot of coffee. The Hario Small Coffee Grinder is made out of wood and the handle is stainless steel. It has an almost antique coffee grinder look, and it is quite obviously made to last. Although the design of the coffee grinder may look a bit old fashioned, it still has all the modern features that you would expect from a best manual coffee grinder, including magnets that hold the drawer securely closed while you are grinding, and rubber feet that stick to the counter top. The small size of the Hario small hand coffee grinder makes it very easy and comfortable to hold. You could quite easily take a walk around the kitchen while grinding with this grinder if you wanted to. The coarseness of the grind can be adjusted, but like all manual coffee grinders it takes a little bit of experimenting to get the coarseness exactly how you want it, and the consistency of the grind is as good as any other hand coffee grinder that we have reviewed. The whole unit has a very sturdy feel to it. It is well made and the quality of the components looks good. The time that it takes to grind coffee with the Hario Small Coffee Grinder is probably a little bit longer than it was some of the other models in our hand coffee grinder reviews, but if speed is all you are interested in, you’d buy an electric coffee grinder. If you are looking for small, reliable hand coffee grinder that looks great, the Hario Small Coffee Grinder might just be the best annual coffee grinder for you. There is no question that it will take longer to grind coffee beans with a hand grinder than it would with an electric grinder, but manual grinders make much less noise and many people say they bring out all the flavours in coffee better than electric models do. So, the first thing to be aware of is, if you want to grind large amounts of coffee beans in the shortest possible time, you’d probably be better off looking at electric coffee grinders. On the other hand, if you want a simple, quiet and convenient way to grind coffee, here are the main things to think about when looking or the best manual coffee grinder for you. Most manual grinders do tend to be fairly small, simply because it does take time to grind coffee by hand, but they do vary in size, so check to see how much coffee can be ground in any grinder you look at and make sure that it is suitable for your needs. If you want to take a coffee grinder with you when you travel, you will also need to check the weight and the overall dimensions of the grinder to make sure that it will be suitable for packing away in a suitcase or a backpack. Although hand coffee grinders may not be quite as consistent as electric grinders, you should still be able to get a consistent coarseness each time you use a hand grinder. The best way to check for this is to look at customer reviews. The sturdiness of a hand coffee grinder is important, because you exert quite a lot of force when you ground coffee by hand, so look for coffee grinders that are made out of tough materials, such as stainless steel. The container might be glass or plastic, but the grinding mechanism will need to be made out of something stronger. You will need a variable setting on a manual coffee grinder, so that you can grind coffee to varying degrees of coarseness for the different types of coffee that you may want to make, such as finely ground for espresso and coarsely ground for French press. Grinding coffee by hand can be hard work if a hand coffee grinder hasn’t been designed very well. There are a number of things that can affect how easy a grinder is to use, including the size of the grinder, the positioning of the handle, and the design of the grinding mechanism. The best way to check the ease of use is to look at customer reviews, but be aware that a lot of people leave negative reviews about manual coffee grinders, because they are trying to compare them to electric grinders, which of course you can’t do. Look for grinders that are easy to take apart for cleaning. You will need to be able to get inside a grinder and to the burrs to be able to clean it properly, although a lot of people do say that you shouldn’t use soapy water to clean a coffee grinder because it will impair the taste of the coffee. Electric coffee grinders are notoriously noisy to use, so, if you are someone who gets up early in the morning and you don’t want your coffee making to wake up everyone else in the household, a hand coffee grinder would cut out all the noise. The slow grinding of coffee that you get with a hand burr coffee grinder is said to bring out more of the flavour of the coffee beans. 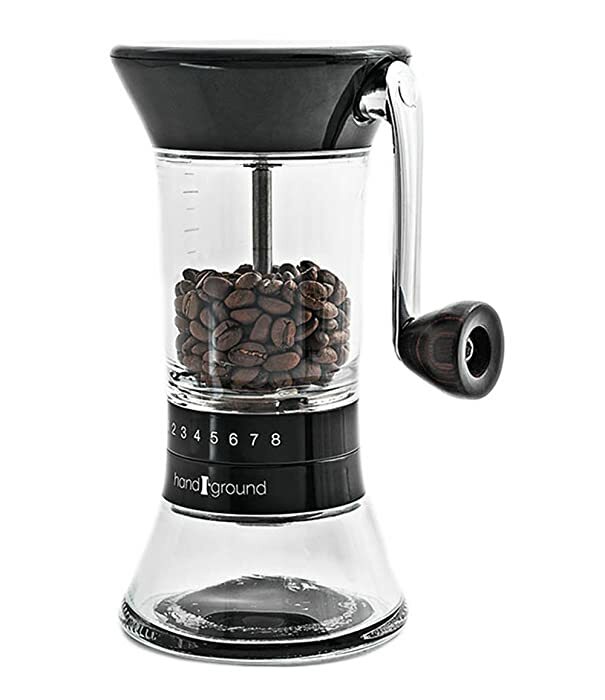 If you are a connoisseur of coffee, you might prefer to use a hand coffee grinder. If you like to travel, you can take a hand coffee grinder anywhere and you can still have a decent cup of coffee, even if there is no electricity where you are staying. This is obviously useful for those who like to go hiking or camping, but it can also be useful for when you are staying in hotels too, because not all hotels have coffee making facilities in the rooms, or you may simply not like the coffee that the hotel serves. Many people say that hand grinding becomes a part of the coffee making experience and it makes preparing coffee a whole lot more satisfying. 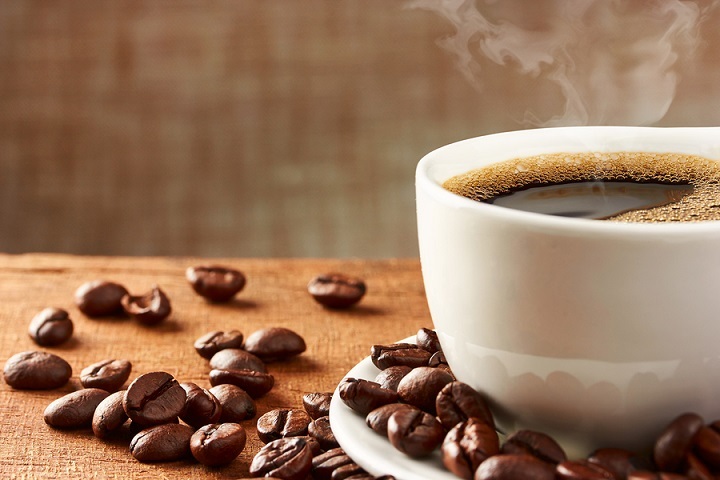 The hand grinding of coffee beans is always going to be slower than using an electric coffee grinder, but if you are only making coffee for one or two people, it will only take you a few minutes. The speed at which manual coffee grinders grind the beans does vary though, so it is worth checking that out before you decide on which grinder will be the best hand coffee grinder for you. Compared to flicking the switch on an electric coffee grinder, a hand grinder will require more effort from you to grind coffee beans. It’s not on a par with a morning workout, but it will certainly mean that making a cup of coffee is going to take more effort than it would with an electric grinder. Because of the time and effort that it takes to grind coffee manually, you probably would not want to use a hand coffee grinder to make coffee for a large family, or for a coffee morning with lots of friends. Depending on the quality of the hand coffee grinder that you purchase, you may not get the same consistency as you would with an electric coffee grinder. The best manual coffee grinders will provide a consistent grind, but the cheaper models may not be quite so consistent. Cheaper than the ROK without a significant drop in the end result of your ground, the Handground is a complete winner for travelers wanting both espresso and French press on the road. Dear friend, it’s totally good review of manual coffee grinders, thanks a lot. I grew up drinking instant coffee and until now I still do. But want of my co-worker gave a cup of coffee and I instantly loved it. I ask him what it is, he said he made it himself. He should me how he did it and I was amazed never seen coffee made that way. I liked so much I open an online store all about coffee.